Viimased neli aastat kandis Tarmo Miilits Afganistanis teenides Euroopa Liidu politseimissiooni asejuhi uhket mundrit. One of Estonia’s highest-ranking and better-known police officials, Afghanistan police mission veteran Tarmo Miilits did not return to the ranks of the Police and Border Guard Board (PPA) but has become an operative of the Estonian Internal Security Service (KAPO) instead. Miilits’ last day with the police was August 20. The officer’s new position at KAPO, that has lost several deputy chiefs as of late, is not public. This means Miilits was not hired to serve as deputy director general or bureau chief. Press Representative for KAPO Agnes Suurmets said she cannot comment on matters pertaining to staff. Miilits’ return to internal defense is noteworthy as he is one of only two Estonian police officers to have reached the rank of police inspector general. Miilits’ rank is equaled only by that of PPA Director General Elmar Vaher. Both were promoted in 2016. Police circles describe Miilits as having nerves of steel. He made a name for himself during the 2007 Bronze Nights unrest when he was responsible for organizing the work of the police at the headquarters and on the streets. 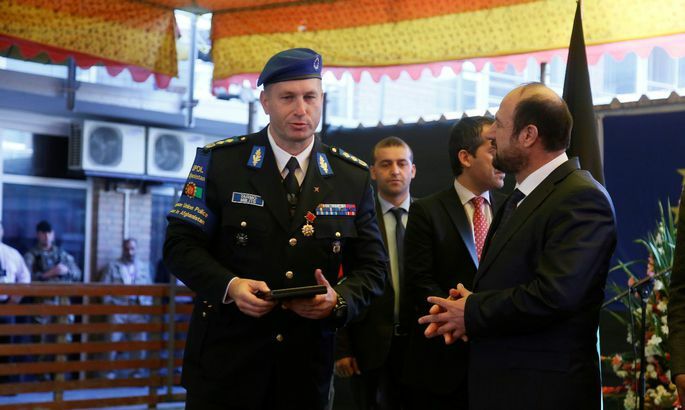 Miilits spent the past four years serving in Afghanistan as the deputy head of the EU police mission in the country. His task was to advise the Afghan interior ministry on matters of police reform, combating corruption, and police intelligence. He was awarded service medals by both the Estonian interior and foreign affairs ministries this year. Information at Postimees’ disposal suggests one of the reasons for Miilits’ departure from the PPA is the fact Vaher could not find a place for him in his organization. The relationship between the two soured years ago. Miilits has held various positions with the force since 1990. He was deputy director general of the law enforcement arm and temporarily served as an adviser for the international cooperation bureau in 2010-2013. Miilits ran for PPA director general in spring of 2013. While he made the top three with Tõnu Hunt and Erkki Koort, the initial competition failed. Elmar Vaher was elected deputy director in the third round. A few months later, Vaher laid off a substantial part of PPA executives, including Miilits. Numerous competitions and layoffs created tensions at PPA those involved did not keep secret. “I have reason to be aggrieved; however, it is a personal matter,” Miilits told Postimees in 2013. Miilits said yesterday that he does not wish to speak about his new position.